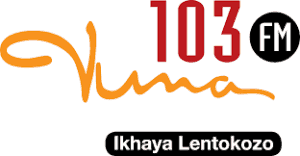 Vuma FM 103 Live Streaming online . Vuma 103 FM is a commercial radio station that broadcasts from studios in the heart of the trendy Umhlanga New Town precinct to a footprint of over 6 million people across the KZN Province . “KZN BE INSPIRED” is what defines the station. Vuma FM 103 broadcasts in isiZulu and English, and their format is strong with 70% inspirational music and 30% content that is entertaining, informative, and jammed with features, fun and a relevant, modern approach to the needs of the Province.